This beautiful snug fox pieces fur blanket in various natural tones brings color to your home and will stand out as a highlight in your living room or master bedroom. 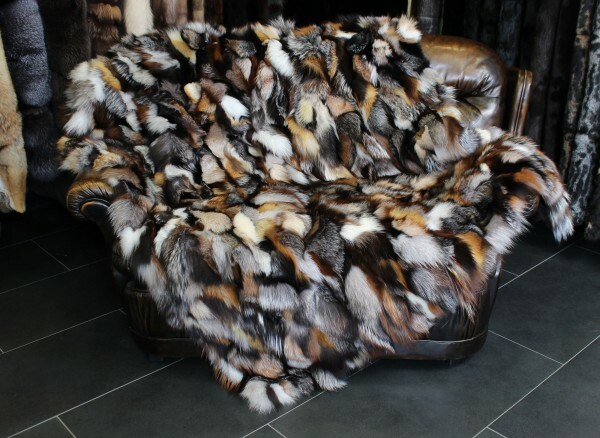 The fox fur is made of 100% genuine natural Scandinavian foxes, which come from excellent fur farms in Scandinavia. The hair is incredibly soft and pleasant on the skin; you can lie comfortably on the fur blanket or under it. Convince yourself of the warmth and quality of this fur blanket. If you have questions, please contact us. We will find an individual solution for you! Related links to "Snug Fox Pieces Fur Blanket in various natural tones"
Customer reviews for "Snug Fox Pieces Fur Blanket in various natural tones"